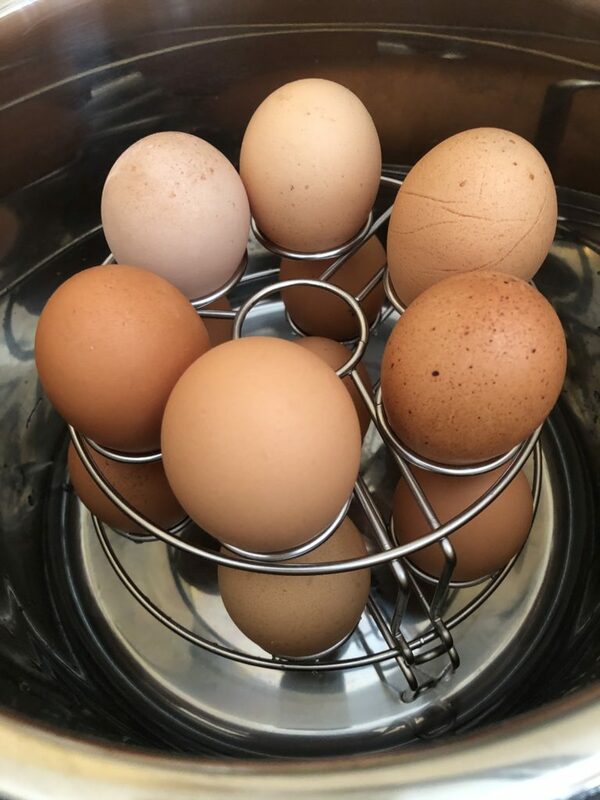 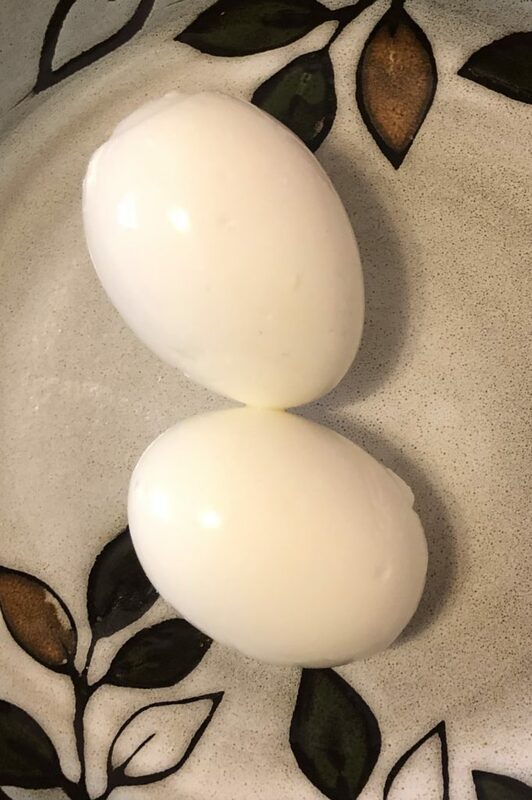 Place 2 cups of water in the Instant Pot then place your trivet/steamer basket/egg rack in the pot and put your eggs in it ( I really like the egg rack, it keeps the eggs in place and holds up to 14 eggs). 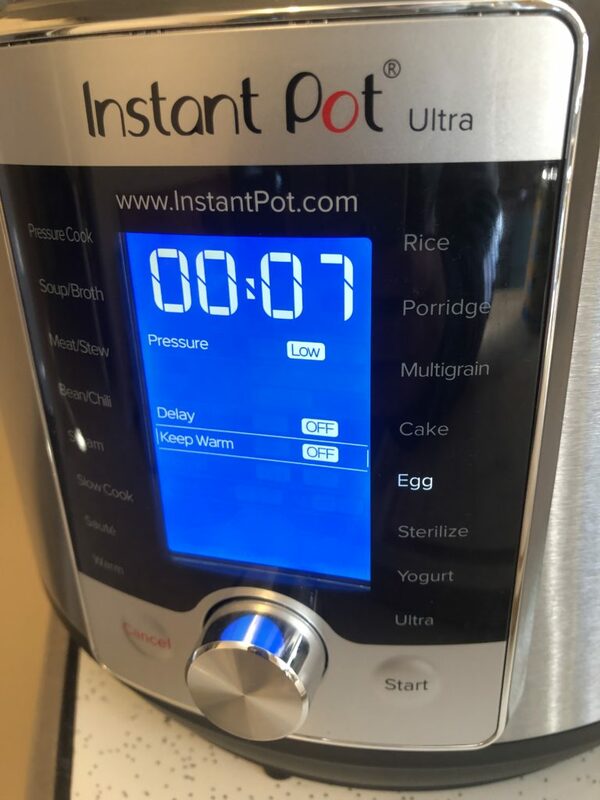 Close the lid and press the “egg” button (if your instant pot has that button) or the “manual” button and change the pressure setting to low and set the time for 7-8 minutes. 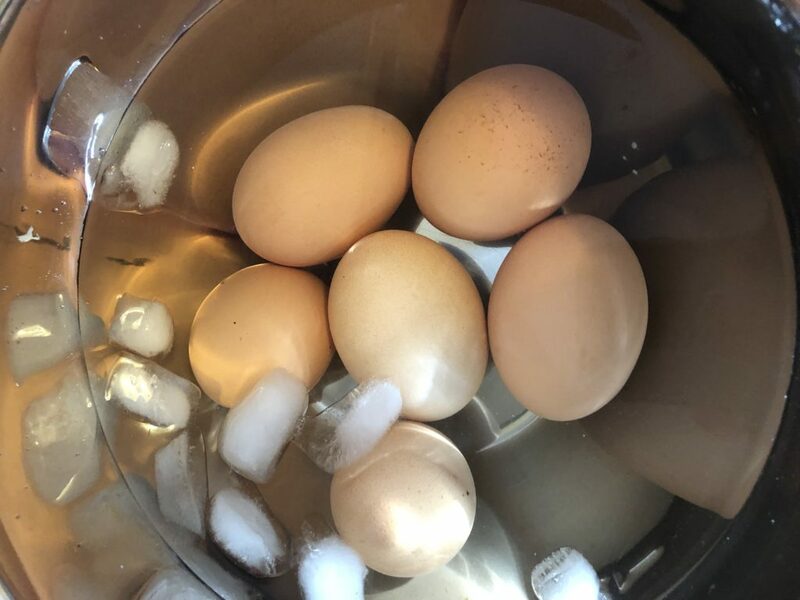 Close the lid and start your pot. 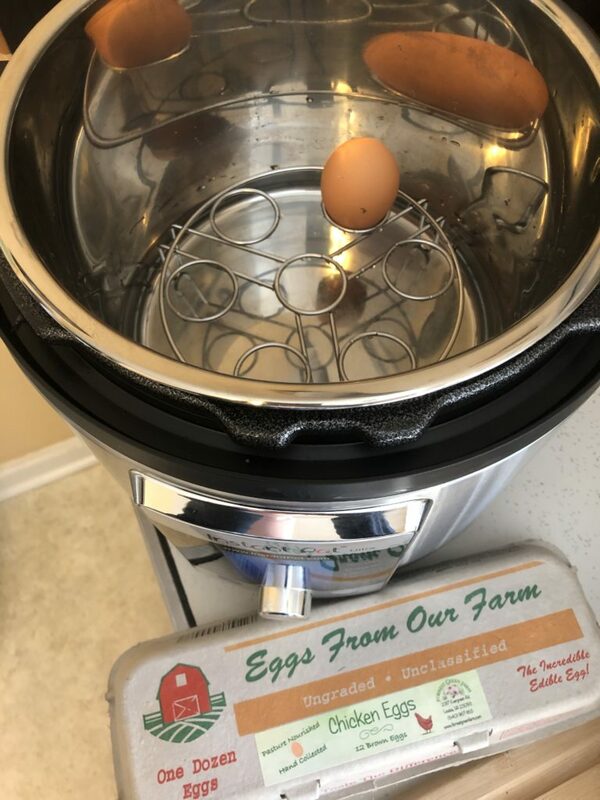 Once the pot is done cooking let it natural release for 5 minutes. 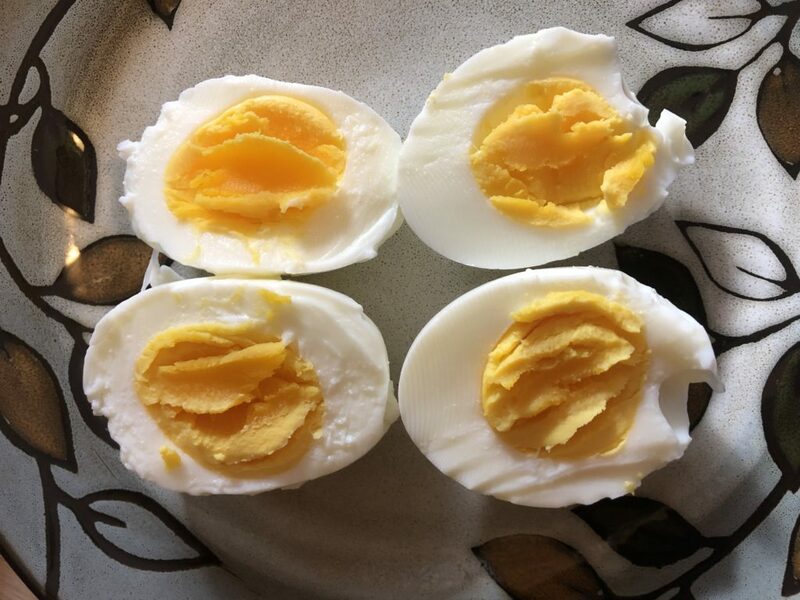 Then open the pot and place your eggs in a bowl full of ice water, let them cool and peel immediately.